Jieming performed on Show 344 in East Stroudsburg, PA, recorded on July 21, 2017, and also appeared on Show 251, recorded in in April 2012, at age 14. 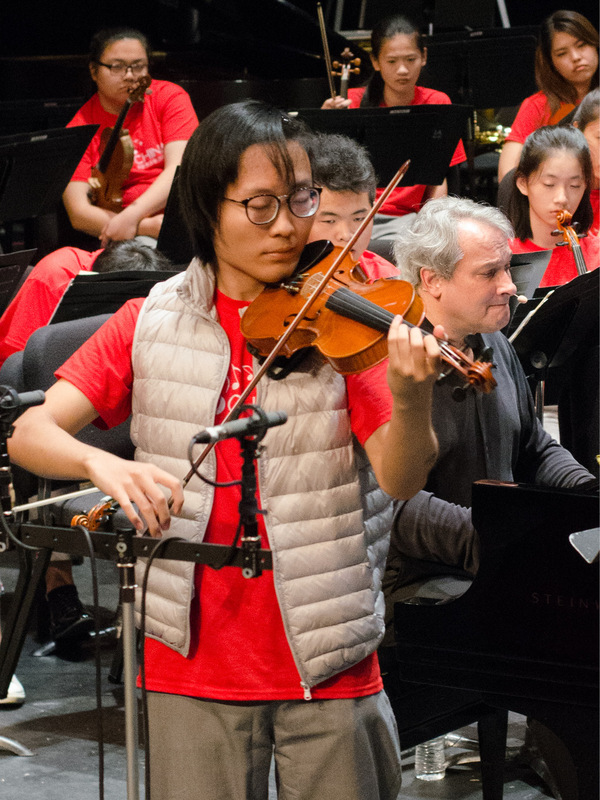 Jieming Tang (violin), 20, is originally from Hefei in the Anhui Province and attends The Juilliard School, where he studies with Donald Weilerstein and Joel Smirnoff. His favorite musical experience was touring China with the Cleveland Orchestra Youth Orchestra. Outside of music Jieming enjoys photography, cinematography, aviation, physics, computer science and video games. 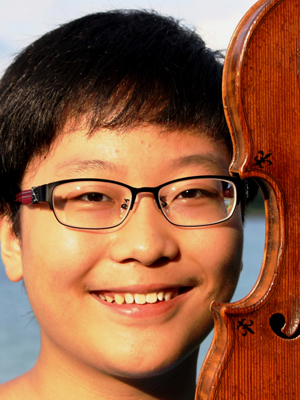 Jieming Tang (violin), 14, is originally from Anhui, China but currently resides in Cleveland, Ohio and attends Metro Catholic School. He studies with Paul Kantor and attends the Cleveland Institute of Music’s Junior Young Artist Program. Jieming is a recipient of the Jack Kent Cooke Young Artist Award. In the past, Jieming has participated in the Tomas & and Evon Cooper International Competition and has also been invited to perform in Indonesia. In his free time, Jieming enjoys reading, playing video games, and surfing the Internet. Jieming is a Jack Kent Cooke Young Artist. From the Top Alumni Take Beijing by Storm!